How to choose a car? Do you feel confident with retirement? Proud Mom Moment, or is it? 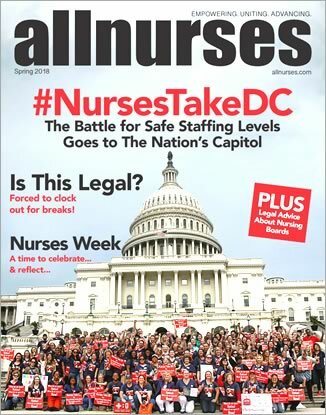 Any nurses live near an Air Force base? Looking for a place to relocate! How much of your paycheck goes to your savings? You ONLY work 3 days a week! Is anyone a medical foster mom? Brother, and his Girlfriend, Are Driving Me Nuts! Where should you put all that money you saved from your nursing job? Where could I go for winter vacation? Do You Suffer from "Taxitis"??? In order to make a total change!